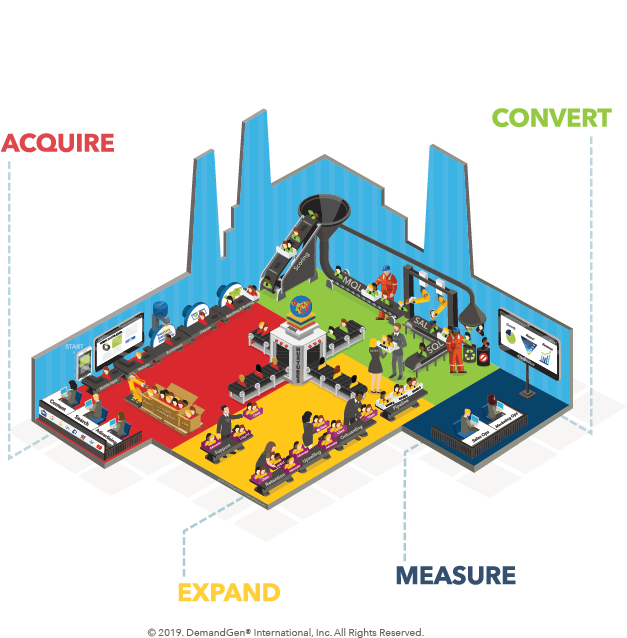 The Demand Factory™ is the framework that maps out everything you need to maximize results in acquiring and converting customers, measuring impact and expanding your reach within your customer base. With a focus on these four areas, you can build a rock-solid foundation for your marketing organization. Acquire: Accurately target and source new prospects, maintaining a steady stream of new leads into the top of the funnel. Convert: Score and nurture prospects with the right messaging to address their specific needs, desires and stage in the buying process. Measure: Understand the impact of your marketing efforts on the flow of prospects from campaign, to close, to advocate — using that information to accurately plan for the future. Expand: Drive additional value from customers and grow a substantial base of advocates to assist you with attracting and acquiring new business. 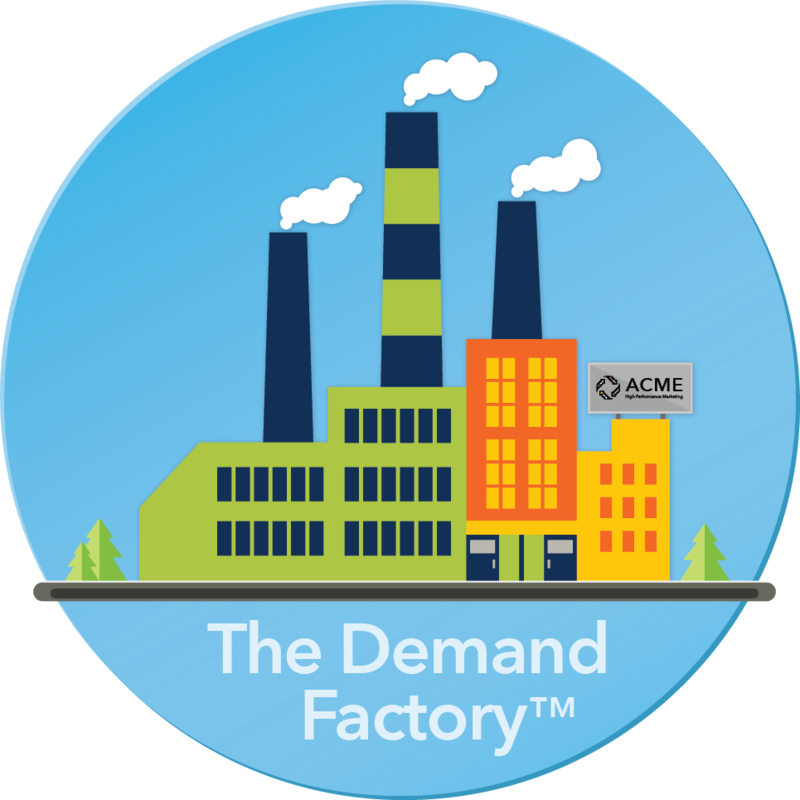 Want to Build Your Demand Factory? The Demand Factory model establishes a vocabulary and framework for bringing together your initiatives in a synchronized way. Under your marketing leadership, the Demand Factory unites marketing, sales, process and technology to attract new prospects, create sales opportunities and build lasting customer loyalty. 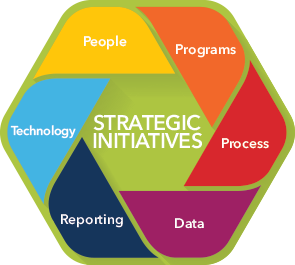 DemandGen can help you ensure you have the best people, programs, processes, reporting strategies and systems in place — all working together in an optimized way that supports your Demand Factory.